Rivoli Group AG completes its comprehensive operational restructuring process and acts with a new presence in the future. The Swiss based Rivoli Group AG has now completed the comprehensive restructuring process as part of the international realignment of its corporate strategy. After an intensive evaluation of the situation, the available resources and existing market potential, the Chairman of the Board of Directors Mr. Mourad Malloul, the management team and an international advisory committee coordinated the strategy together. "This is the beginning of a crucial new chapter for the Rivoli Group," the President and CEO of Rivoli Group AG said. The measure aims to strengthen the competitive advantages within the company group, to adjust their service offerings and to redefine business processes. In addition to the integration of newly developed risk management solutions, the coverage presence in the emerging markets with above-average growth potential, as well as the maximum achievable flexibility and scope of the company's investment products play an essential role. Also, the necessary infrastructure is to be created in an agreement between all involved parties to increase the growth in the Venture Capital division exponentially. The management of the Rivoli Group expects to implement the necessary measures during the fourth quarter of this business year. The renewal of the communication infrastructure (website, corporate identity, etc.) is one of the numerous measures to increase the range, which initiates in combination with the other necessary steps. 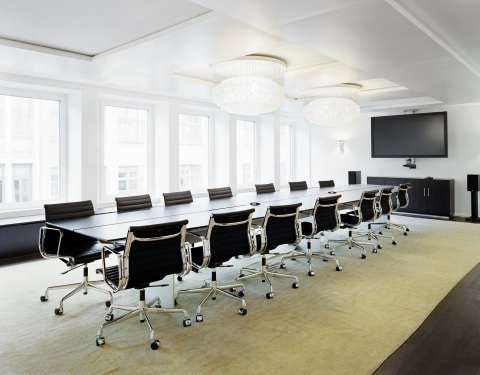 The Rivoli Group is an international consulting and investment company headquartered in Zurich. In addition to financing innovative-oriented companies, from the seed and early-stage phases, the Swiss Group has specialized in project development and financing in developing countries with above-average growth opportunities. The company currently manages a cumulative project volume of approximately CHF 7 billion (approximately EUR 6 billion). Currently, the company is reorienting its corporate strategy. Further information on the reorientation will be announced shortly as part of a management letter on the company's website www.rivoli-group.com.